Over the last few years, Georgia has firmly cemented itself as the New East’s upcoming holiday destination. Sadly, that doesn’t just mean that the country has a new influx to enjoy. Now they have to battle a different type of guest: the middle-aged motoring show TV host. British TV personalities Jeremy Clarkson, James May and Richard Hammond, hosts of Amazon’s flagship The Grand Tour, appeared in Georgia back in September as part of filming for the show’s third season. 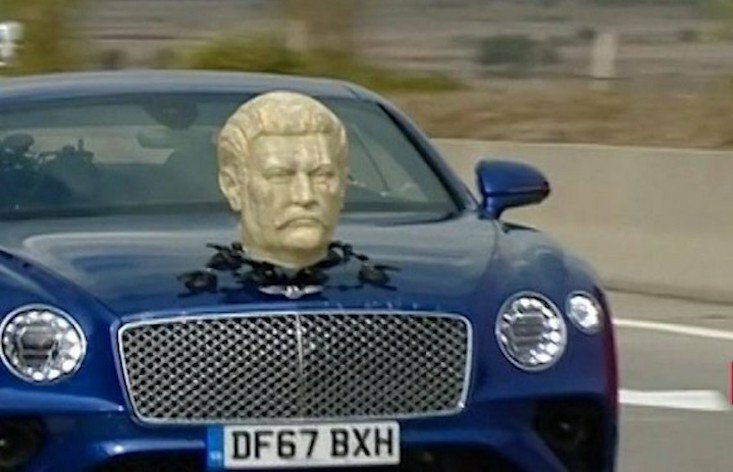 But their trailing scrum of Georgian journalists soon clocked at least one local addition to the team’s Bentley Continental GT: a plaster bust of Georgian-born Soviet dictator Josef Stalin. The modified bonnet turned heads as the team visited Stalin’s home in Gori, but didn’t spark too much in the way of national backlash — unlike some of the show’s earlier stunts. As well as heading to Georgia, The Grand Tour filmed in next-door Azerbaijan, with other segments planned for China, Colombia, the United States and Mongolia.